Cass Gilbert respected the authority of tradition-his education and appreciation of architecture was grounded in historical models-but his romantic imagination made him receptive to the skyscraper as a new and experimental building type. While in practice in St. Paul during the 1880s, Gilbert followed Chicago's breakthroughs in the design and construction of skyscrapers. 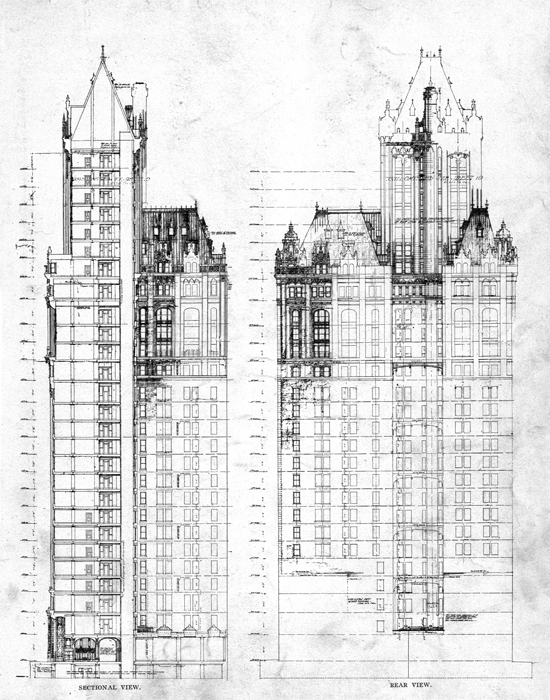 When Woolworth selected Gilbert to design his tower in April 1910, he had in his portfolio only two New York City high-rises. He was renowned instead for his institutional buildings, including the monumental U.S. Custom House in lower Manhattan, the commission won in 1899 that precipitated his move to New York. In contrast to many contemporaries who disdained the commercial nature of the skyscraper, Gilbert embraced the opportunity to build tall and extolled the form as a feat of modern construction. The skyscraper's vertical construction had the potential to shape the city's skyline and to create a new urban identity for New York. 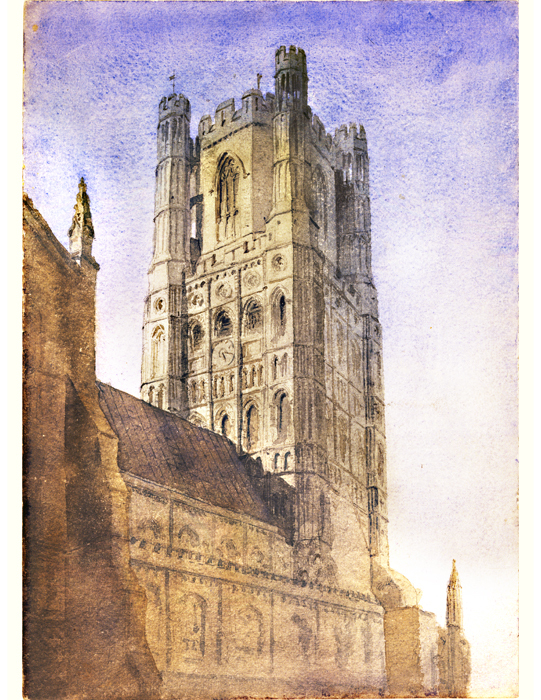 Watercolor sketch of Ely Cathedral by Cass Gilbert, 1905, Prints and Photographs Division, Library of Congress. Enamored of medieval spires since his first sketching trips to Europe, Gilbert admired those towers for both the romance of the picturesque and the ideal of Gothic monumentality. 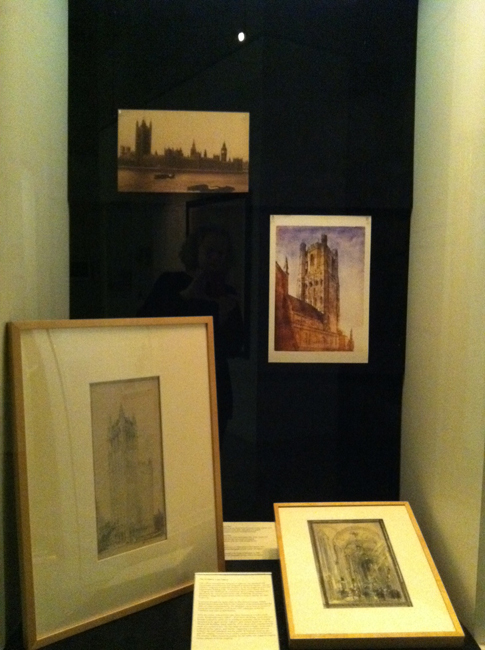 His attraction can be seen in his European travel sketches, such as the 1905 watercolor of the Ely Cathedral, seen here in reproductions. From the outset, the Woolworth and Gilbert focused on a Gothic-style tower. Woolworth had admired Gilbert's West Street Building (1905-07), which had been lavishly praised by critics for its emphatic verticality and the intricate ornament in its upper stories. Photograph shows view of Westminster Palace from across the Thames River. 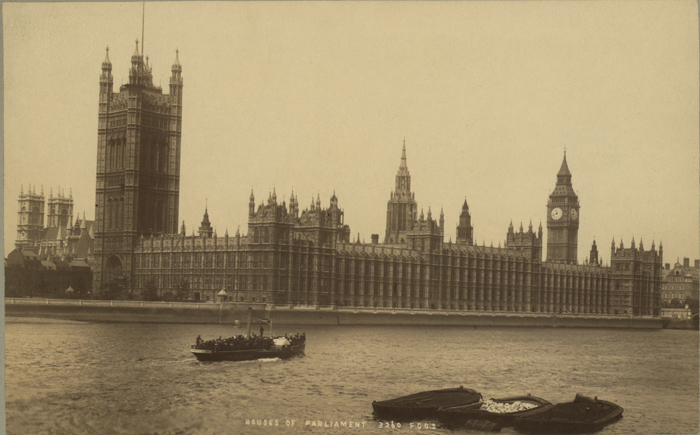 Houses of Parliament, ca 1890, Prints and Photographs Division, Library of Congress. 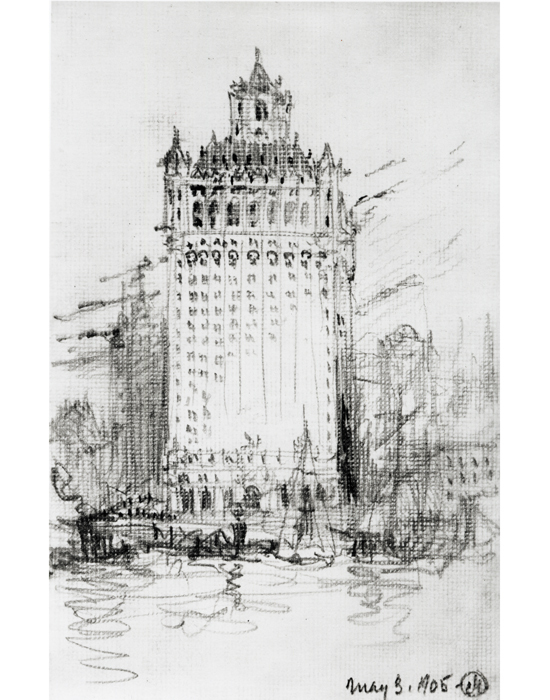 Gilbert's first conceptual pencil sketch for the Woolworth Building (dated 4/26/10), emphasized the appearance of a unified tower. The top range of stories is highly ornamented with tall arches, turrets, and tracery, suggesting a synthesis between Woolworth's model, the Victoria Tower at the Houses of Parliament, and French and English cathedrals. View of West Street Building, 1907, Photograph by Irvin Underhill, Prints and Photographs Division, Library of Congress.